India is one of the world’s largest producers of Mica, a silver-coloured, crystalline mineral. An extremely versatile mineral essential for the cosmetics industry, which gives shine to eye shadows, skin foundation and lipsticks. A mineral of inestimable value for companies operating in the cosmetics sector, able to create a turnover of billions of Euros in a market that sees amongst its protagonists China, India, United States and the European Union. 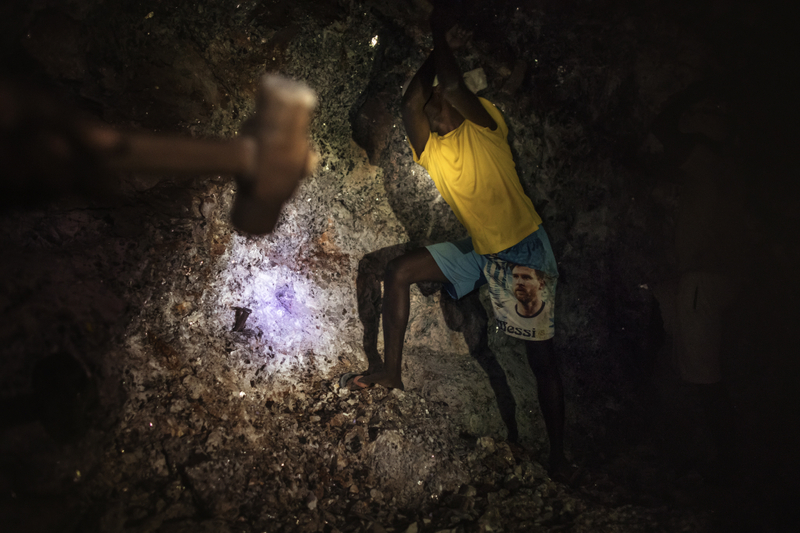 The lucrative business of the Mica conceals a shameful secret: the massive use of child labor and women to extract the mineral from dangerous mines. India currently produces 60% of Mica in the world, most of which comes from Jharkhand. But since 1980, when a forest protection law came into force, almost all legal mines have been shut down, pushing the industry into hiding. 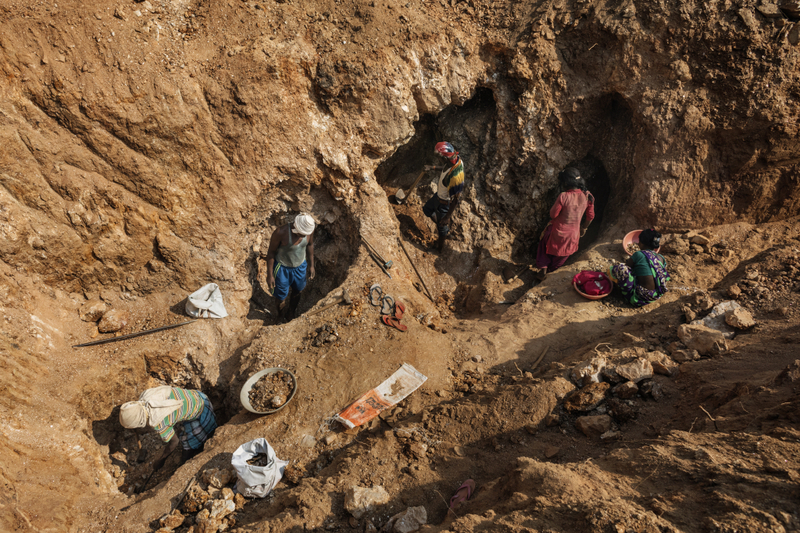 Today, the extraction involves twenty thousand abusive miners, mostly illiterate and landless farmers, at the mercy of agents, intermediaries and exporters who manage a complex network of abuse and forced labor. 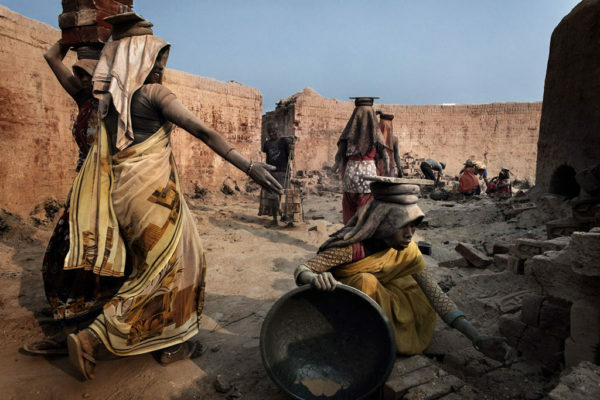 The World Labor Organization (ILO) has classified mining work as one of the worst forms of child labor. 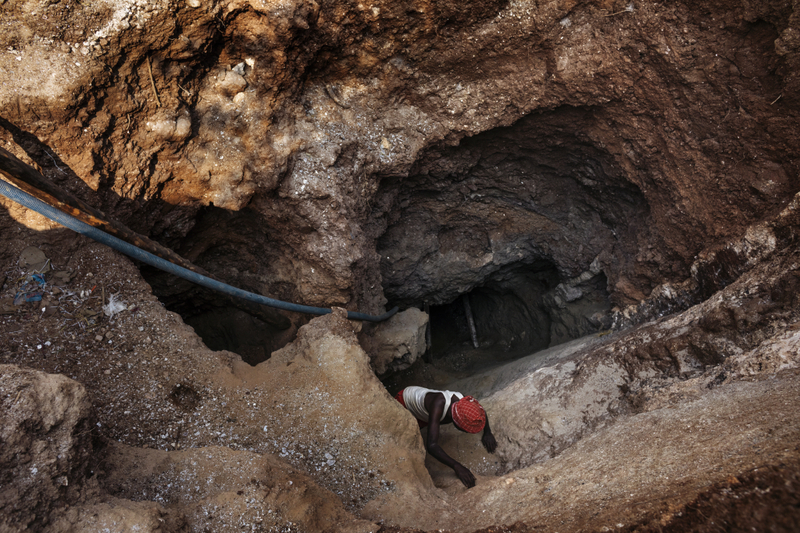 And the conditions in the wells where Mica is extracted are no exception. In fact, mines are very dangerous places: collapses and other accidents, related to the use of dangerous instruments, such as the use of dynamite, are very frequent. 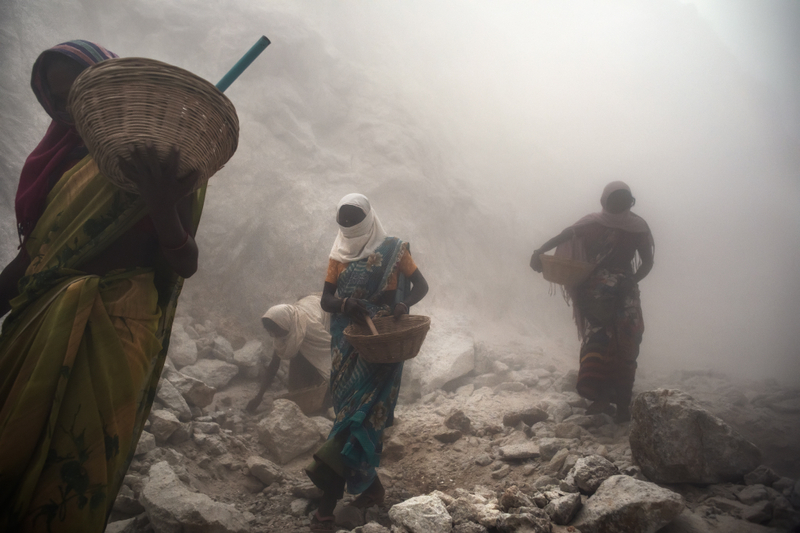 During the process of Mica extraction, women and children breathe large amounts of silicon dust that are deposited in the lungs, exposing them to the risk of developing silicosis. 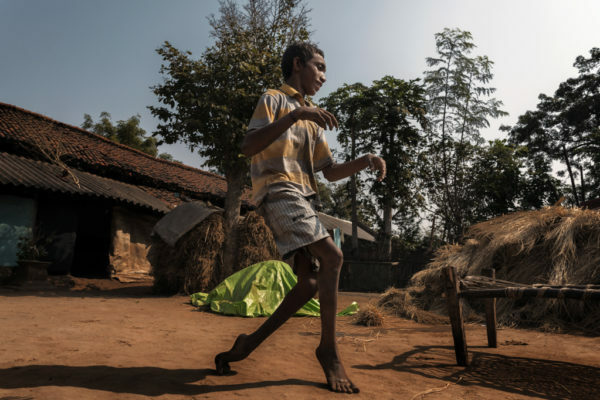 A potentially lethal lung disease.Indian law forbids children below the age of 18 to work in mines and other hazardous industries, but many families living in poverty depend on children to boost household incomes which average around 200 rupees (Euro 2.00) per day. (text by Muriel de Meo). Giridih District, Jharkhand, India, 2018. 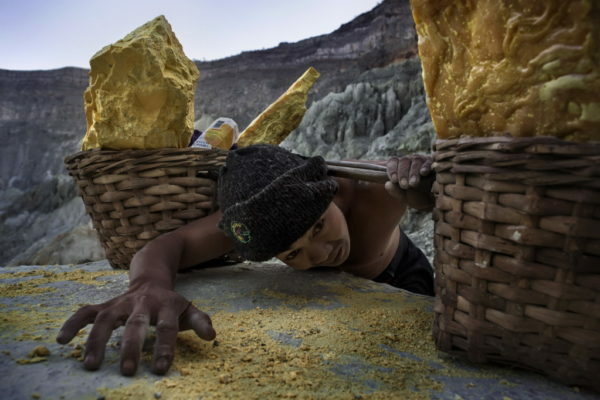 Abrasions and broken bones are part of daily life in the mica mines. Then there’s the quartz dust that they stir up and breathe in. In the evenings, the workers return home with a rattling cough. Many of the workers contract asthma and black lung disease, which makes them more susceptible to tuberculosis and cancer. Many families subsequently go into debt to pay for medication and hospitalizations. Giridih District, Jharkhand, India, 2018. 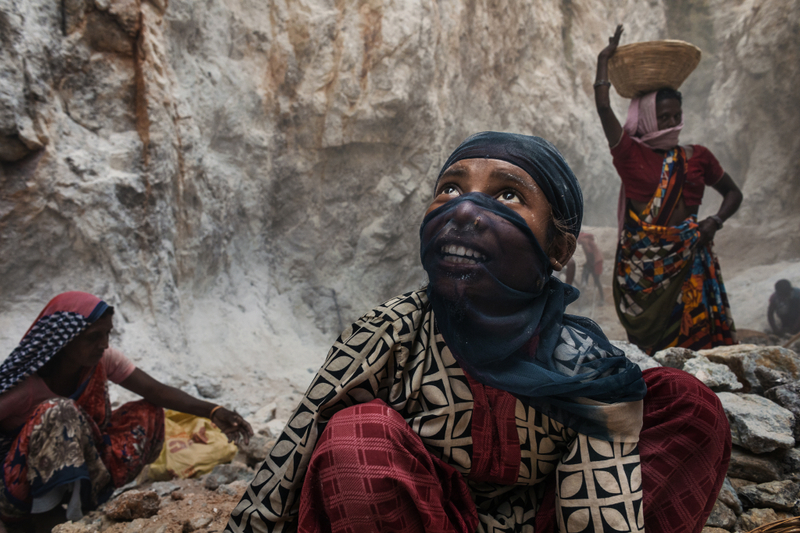 Working women inside the Mica mine. India currently produces 60% of Mica in the world, most of which comes from Jharkhand. But since 1980, when a forest protection law came into force, almost all legal mines have been shut down, pushing the industry into hiding. 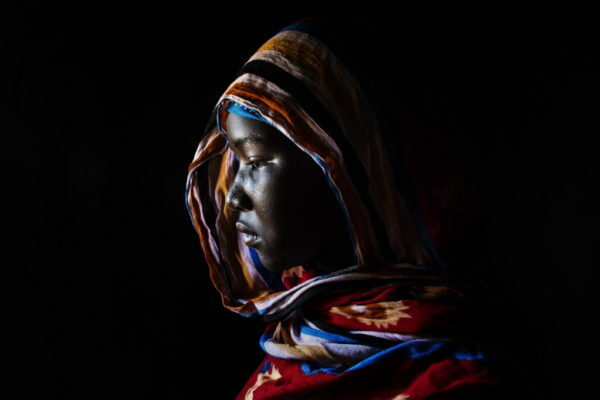 Twenty thousand abusive miners, mostly illiterate and landless farmers, intermediaries and exporters who manage a complex network of abuse and forced labor. Giridih District, Jharkhand, India, 2018. 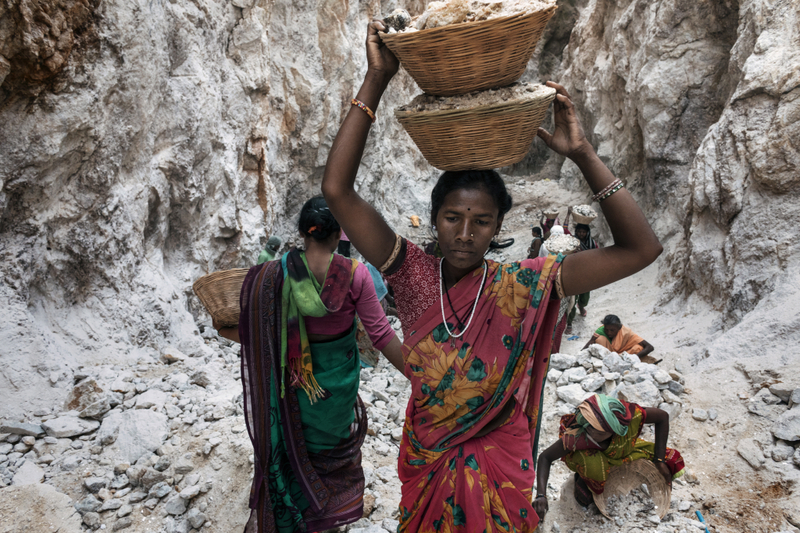 Female worker as she collects stones containing slivers of Mica. 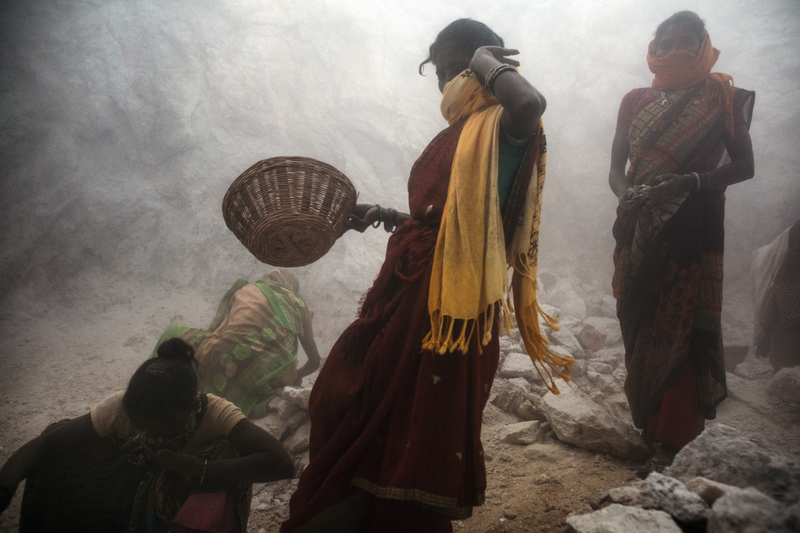 During the process of mica extraction, women breathe large amounts of silicon dust that are deposited in the lungs, exposing them to the risk of developing silicosis. A potentially lethal lung disease. Giridih District, Jharkhand, India, 2018. 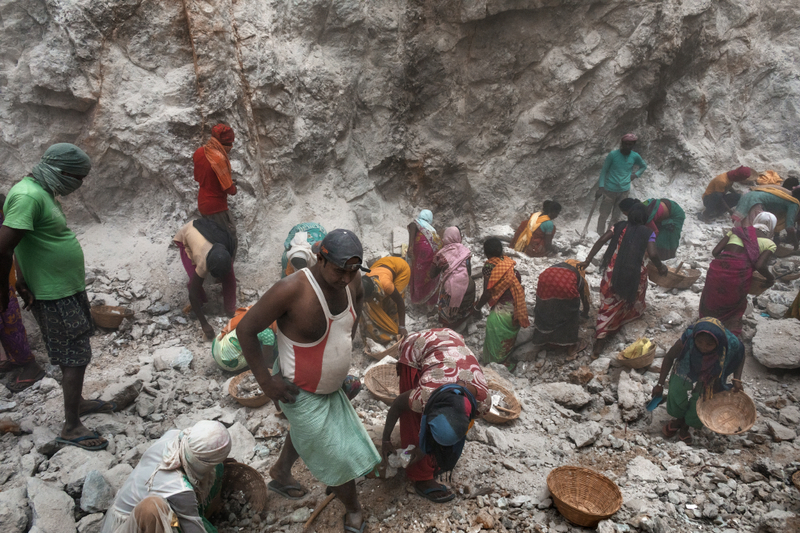 Interior of a Mica mine.Many of the mine workers are Adivasi, members of India’s indigenous ethnic group. 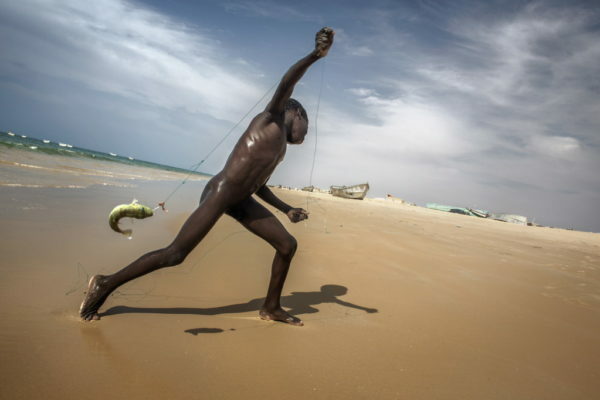 They are a segment of society who are often excluded in their own country. 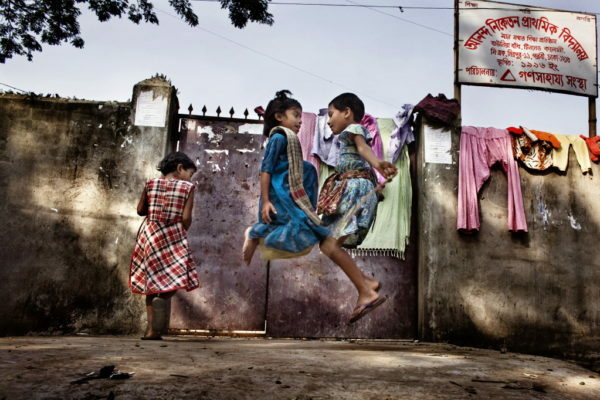 Others are Dalits, the so-called “untouchables,” trapped at the lowest level of the Hindu caste system. Both groups are among the poorest of the poor and very few of them own the land on which they work, meaning they often also have to pay for a lease or mining rights. Giridih District, Jharkhand, India, 2018. 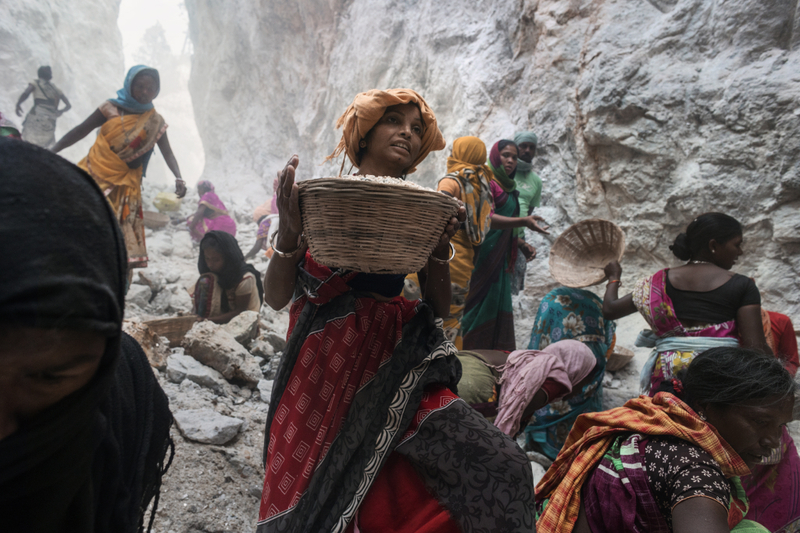 Working women inside the Mica mine. 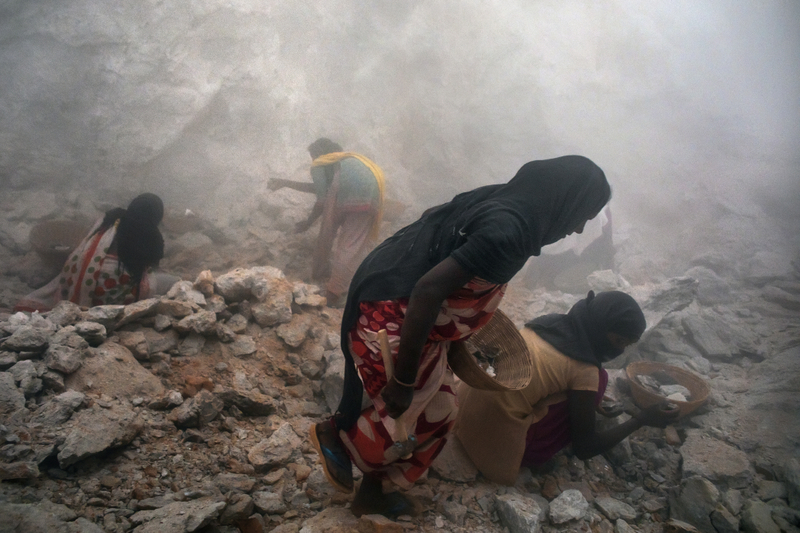 Many women are victims of asthma, bronchitis and silicosis. 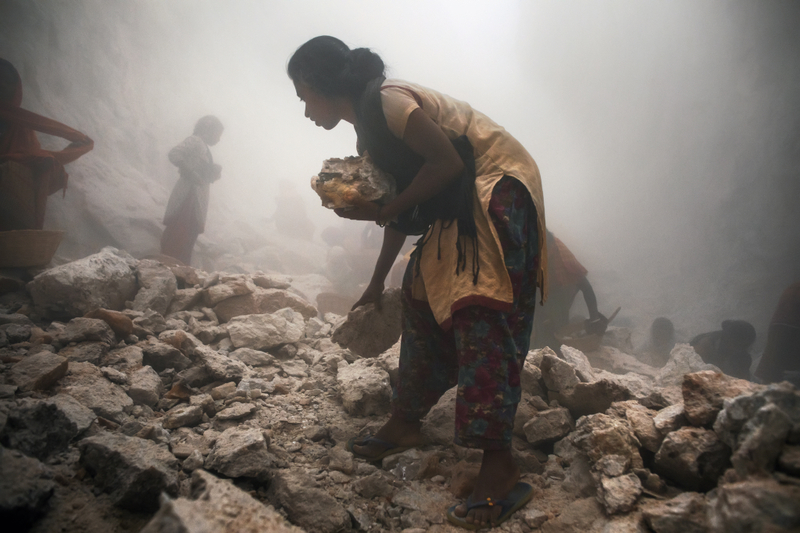 The World Labor Organization (ILO) has classified mining work as one of the worst forms of labor. And the conditions in the wells where Mica is extracted are no exception. In fact, mines are very dangerous places: collapses and other accidents, related to the use of dangerous instruments, such as the use of dynamite, are very frequent. Giridih District, Jharkhand, India, 2018. 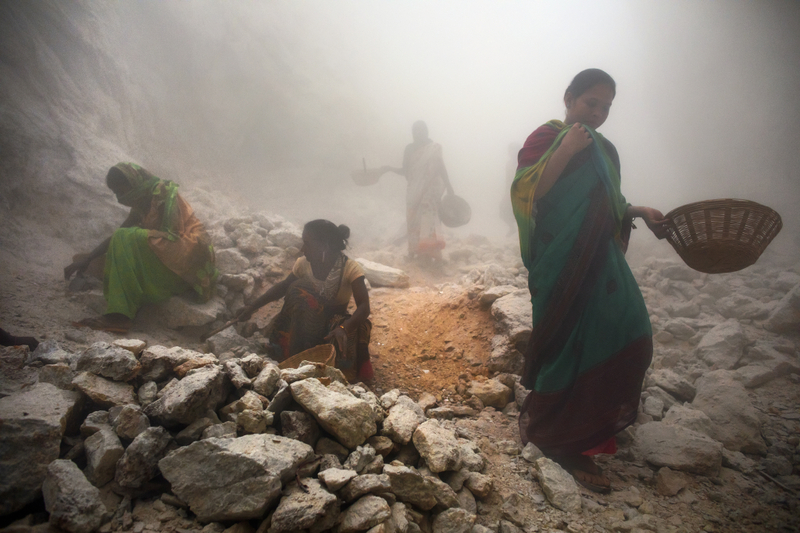 Women workers inside a Mica mine. 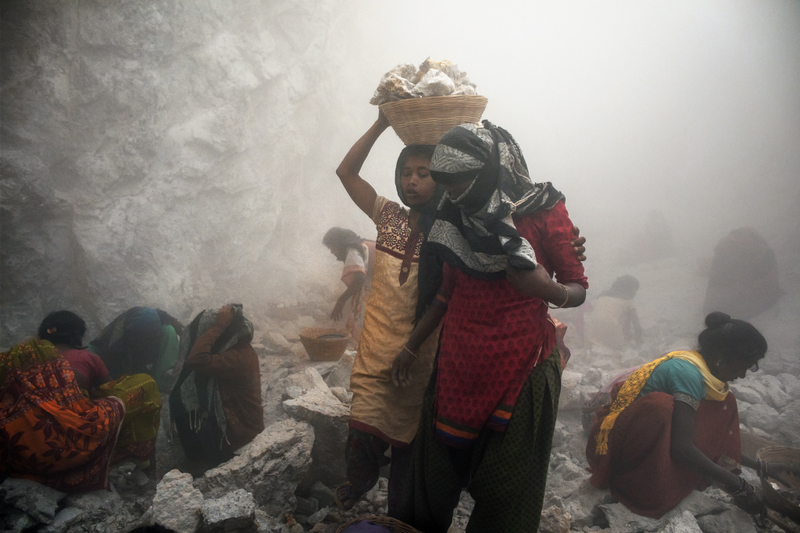 Many women are victims of asthma, bronchitis and silicosis. Giridih District, Jharkhand, India, 2018. 70% of Mica production in India comes from illegal mining and the mica is exported to countries around the world where it is used for the production of cosmetics products. The industry is economically unfeasible for some countries because the mining requires manual labour. 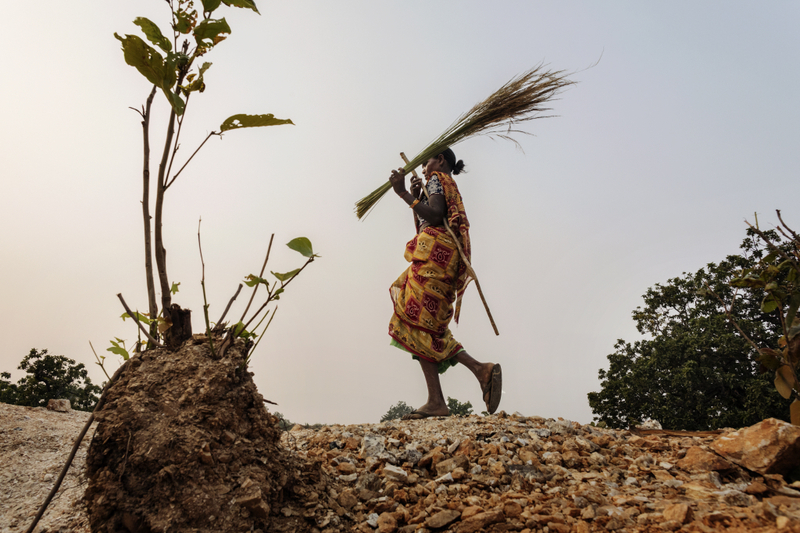 However, in India the use of women labour is wide spread in rural areas. This keeps the costs of production low and endangers the health and lives of girls, limiting their opportunities to get an education. Giridih District, Jharkhand, India, 2018. 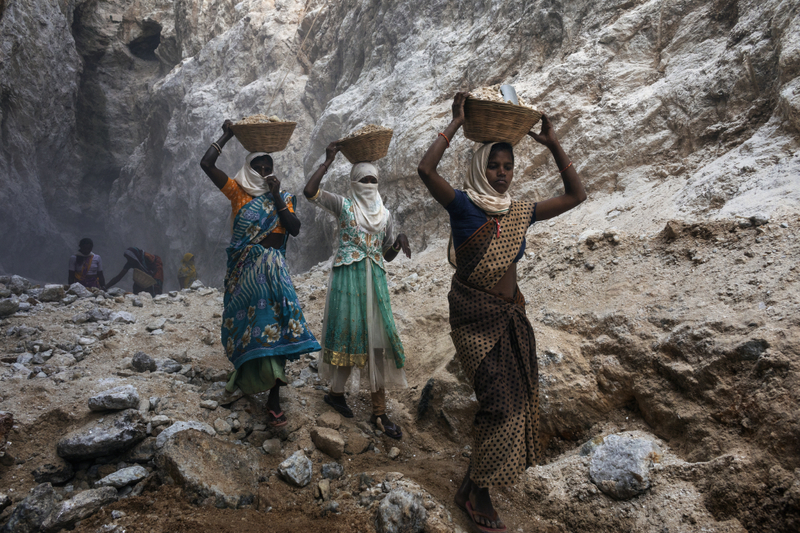 Women working inside a Mica mine. 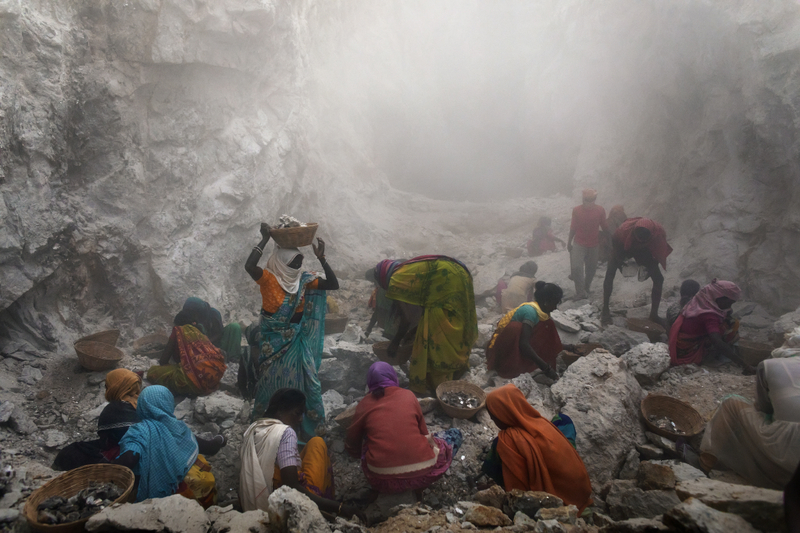 During the process of Mica extraction, women breathe large amounts of silicon dust that are deposited in the lungs, exposing them to the risk of developing silicosis. A potentially lethal lung disease. Giridih District, Jharkhand, India, 2018. 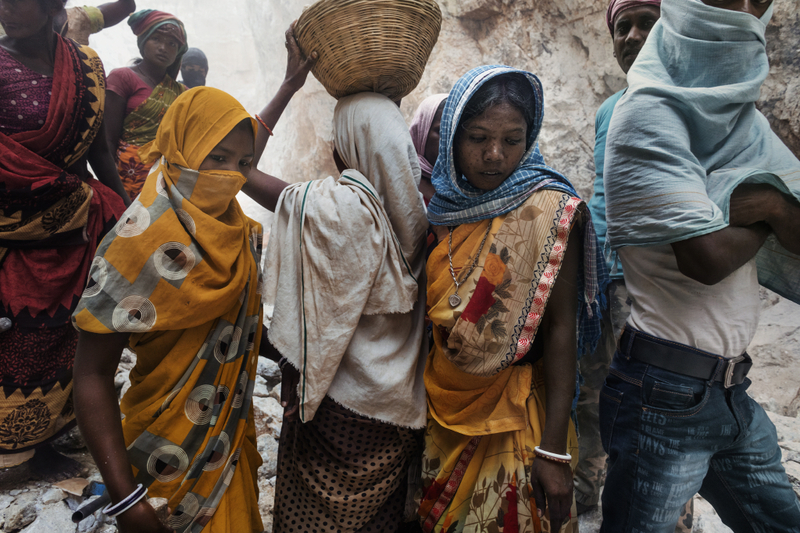 Women workers inside a Mica mine. Two states in Eastern India, Jharkhand and Bihar, account for roughly 60% of the global production of mica, which is used by the cosmetics, building and automotive industries in various products. 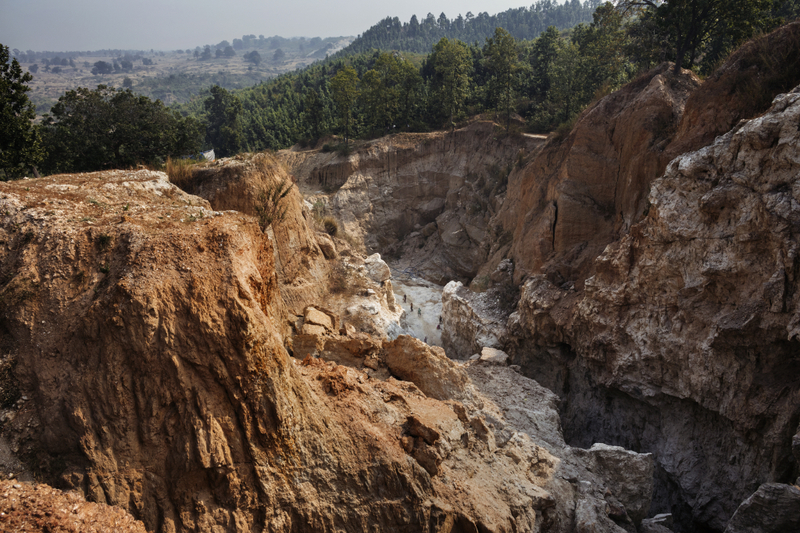 Luxury brands including L’Oréal, Estée Lauder, Rimmel, Merck, have all been linked to India’s mica mines. Giridih District, Jharkhand, India, 2018. Women running inside the mine ready to collect the Mica, right after the miners used dynamite sticks to explode open parts of the mine. Giridih District, Jharkhand, India, 2018. 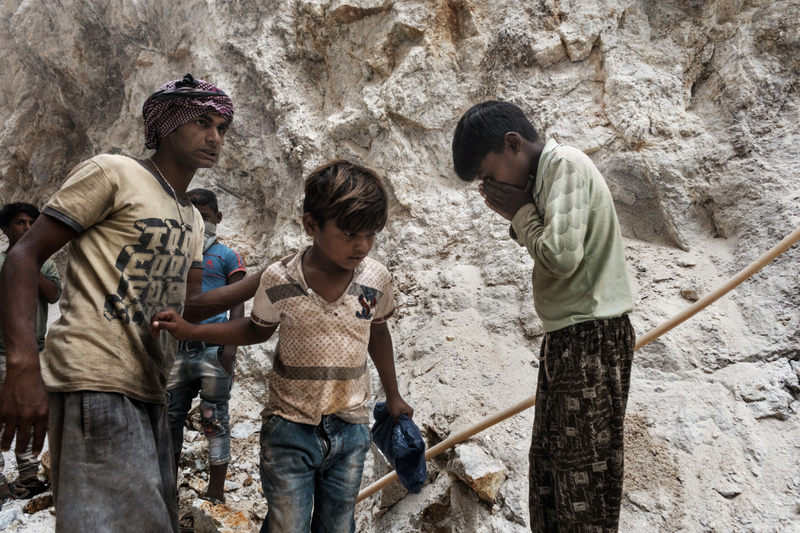 Up to 20,000 children are estimated to work in the mines, around 90% of which are illegal, according to a recent report by NGOs Terre des Hommes and SOMO. 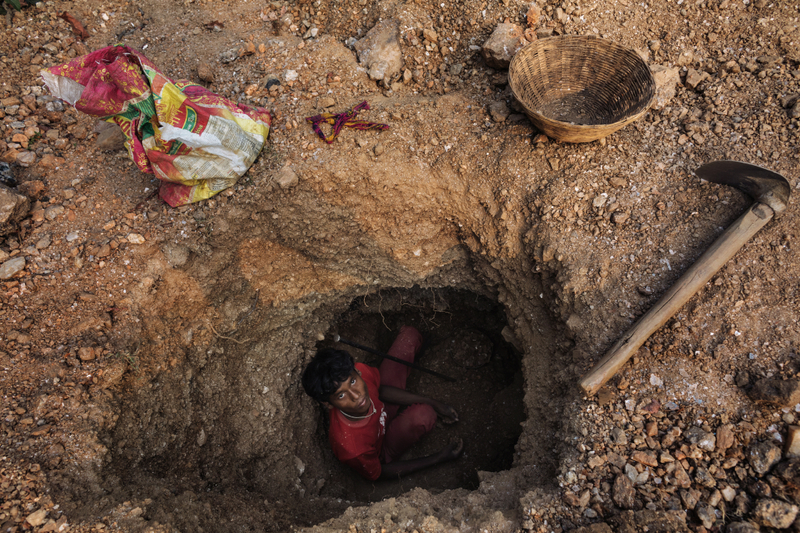 Yet more than a decade after cosmetics suppliers were alerted to its existence, child labour remains prevalent in mica mining in the two states of Jharkand and Bihar, responsible for around 25% of the world’s production. Giridih District, Jharkhand, India, 2018. 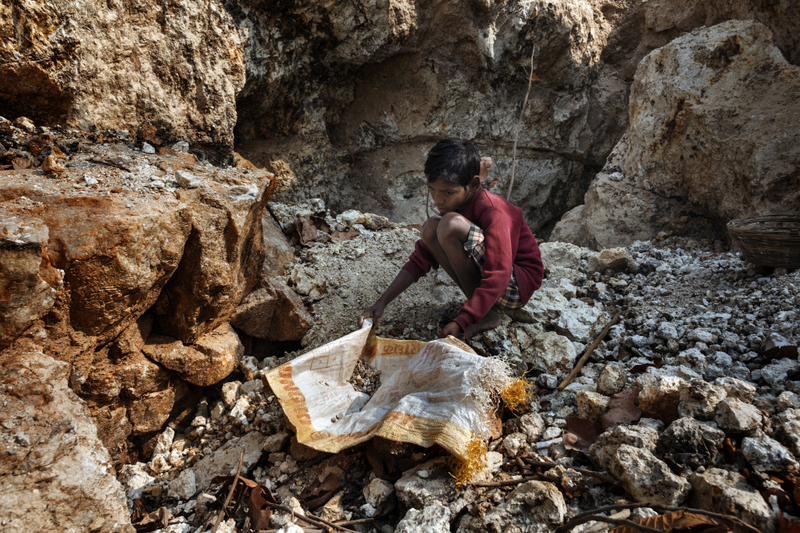 In the hilly forests of rural Jharkand, India, children as young as 10 are hammering flakes of rock off the mountainside. 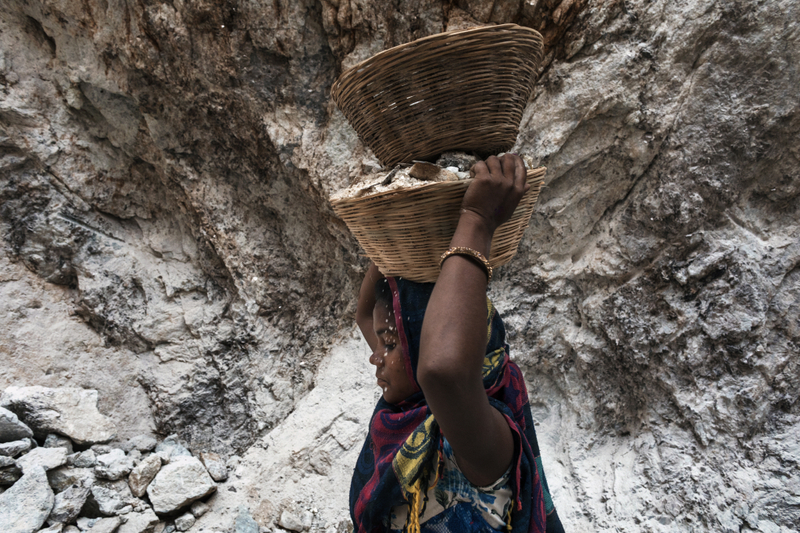 Others, mostly young, carry baskets of rocks to the top of the mine to extract slivers of Mica. Their job is to separate glittering fragments from the rock debris. Giridih District, Jharkhand, India, 2018. 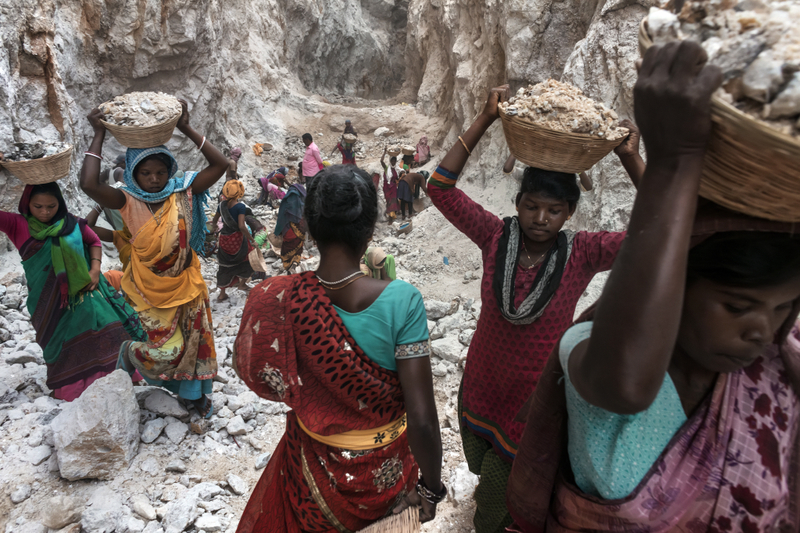 In India, the greatest negative impact of mica mining has been experienced by tribal and Dalit women, as most large-scale mining activities have taken place in the tribal and forest regions. Giridih District, Jharkhand, India, 2018. A female worker as she transports stone baskets, containing Mica fragments. Giridih District, Jharkhand, India, 2018. The moment of collection of the Mica inside the mine. Many families living in poverty which income average around 200 rupees (€ 2,00) per day. Giridih District, Jharkhand, India, 2018. Men check the women’s work , during the collection of the stones containing slivers of mica. Giridih District, Jharkhand, India, 2018. Female worker as she transports stone baskets, containing Mica fragments. Giridih District, Jharkhand, India, 2018. 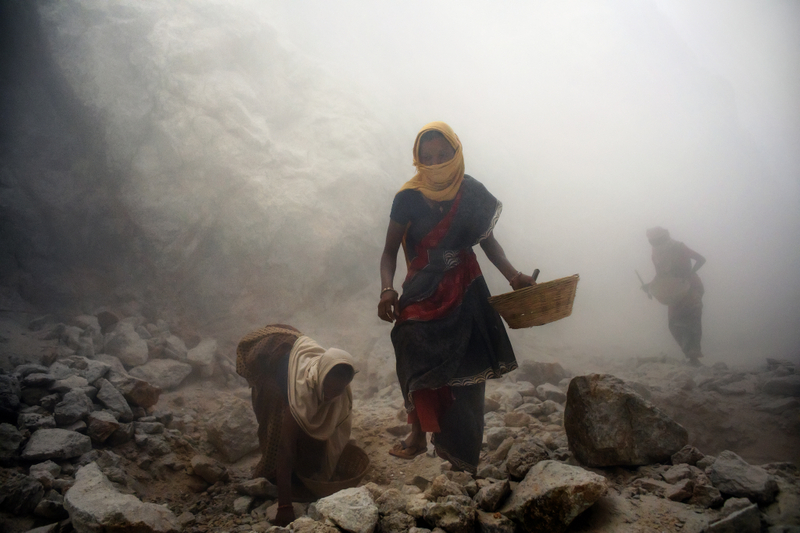 A Mica worker tries to cover her face so as not to inhale toxic substances. Many women were victims of asthma, bronchitis and silicosis. Giridih District, Jharkhand, India, 2018. The market for Mica, a mineral used in beauty products, is growing fast but India’s export industry remains unregulated. 90% of mines are illegal. Giridih District, Jharkhand, India, 2018. 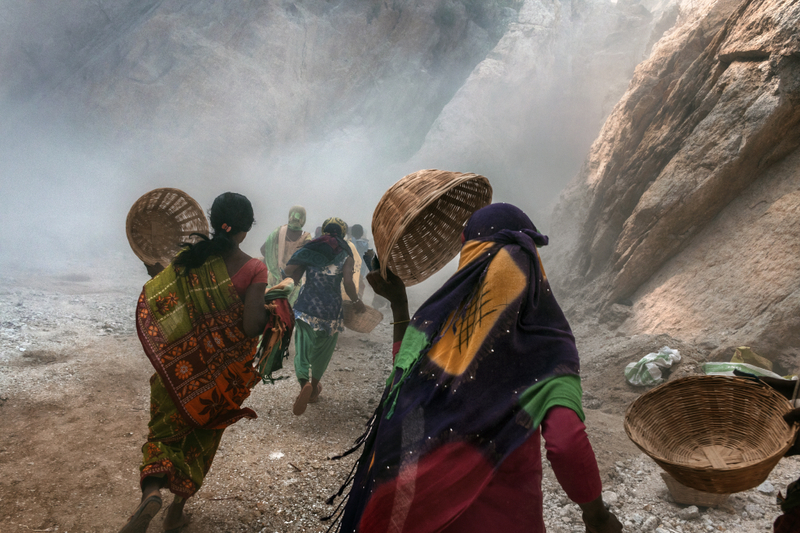 Women as they transport stone baskets containing Mica fragments. This mineral adds a shimmer to beauty products such as blusher, eye shadow, lipstick and foundation, as well as to the paints used by the car and construction industries. Giridih District, Jharkhand, India, 2018. Women about to collect stones containing Mica slivers right after the dynamite explosion caused by miners. 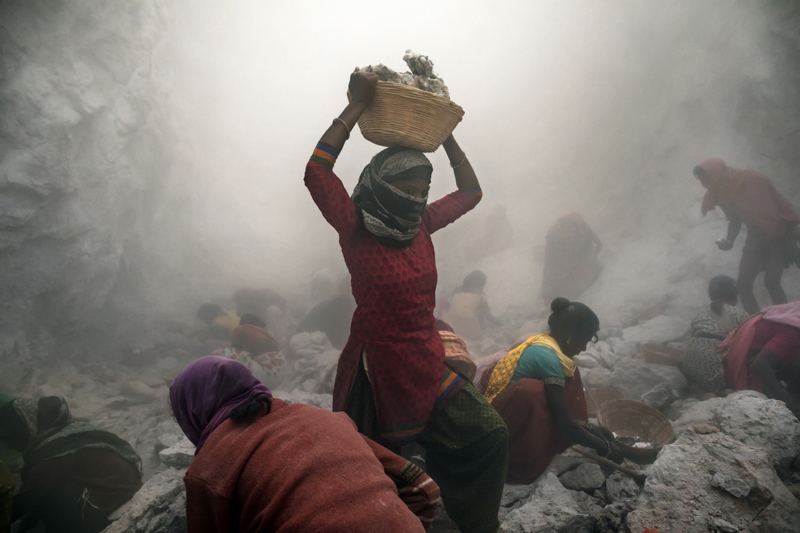 During the process of Mica extraction, women breathe large amounts of silicon dust that are deposited in the lungs, exposing them to the risk of developing silicosis. A lung disease which is potentially lethal. Giridih District, Jharkhand, India, 2018. Distretto di Giridih, Jharkhand, India, 2018. Mica miners as they drill the ground and the sides of the mines to insert dynamite sticks. Giridih District, Jharkhand, India, 2018. Miner while inserting dynamite sticks to explode part of the mine. Giridih District, Jharkhand, India, 2018. 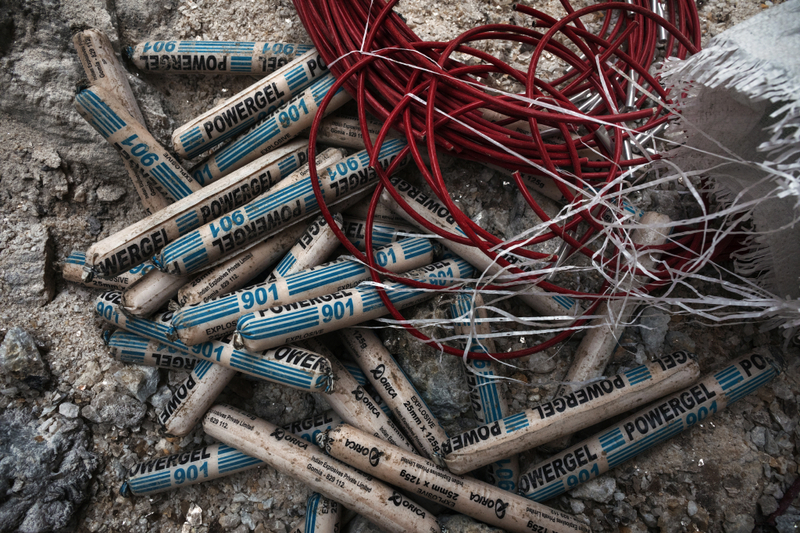 Dynamite sticks that are used to enter deep into the mica mine. The use of dynamite is very dangerous as it makes the integrity of the entire mine unstable, causing sudden collapses, putting the lives of individual workers at risk. Giridih District, Jharkhand, India, 2018. 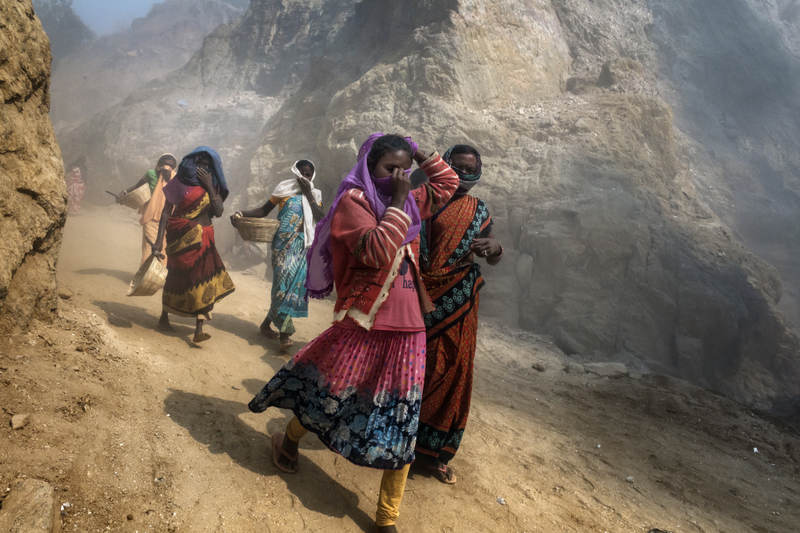 Women mine workers as they leave the Mica mine after an intense day of work, they start at 8 o’clock until 5 pm, with an hour lunch break. Giridih District, Jharkhand, India, 2018. Mica mine. 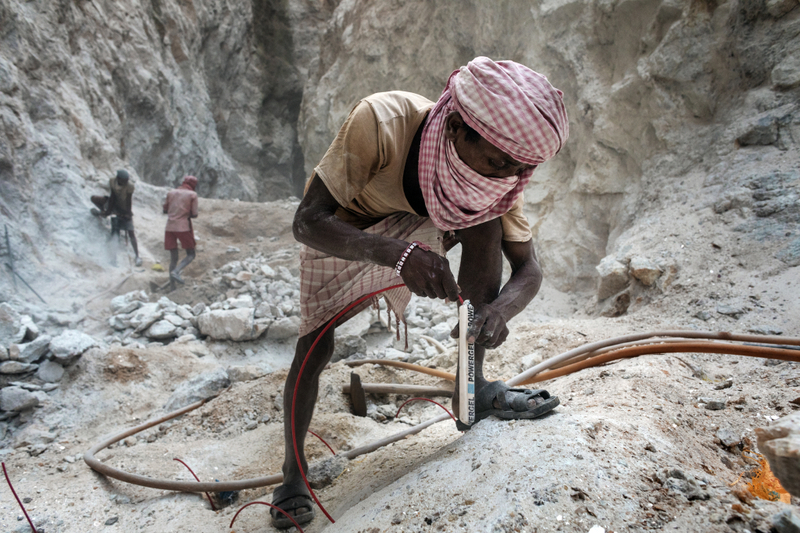 90% of the Mica mines in the state of Jharkhand and Bihar are illegal. When the mines have been completely exploited, they are abandoned without any concern for the damage done to the environment. Koderma District, Jharkhand, India, 2018. A miner climbing up one of wells used for the extraction of mica, to surface. The mines are very dangerous, collapses are frequent and they put the miners lives at risk. Giridih District, Jharkhand, India, 2018. A child mica miner. 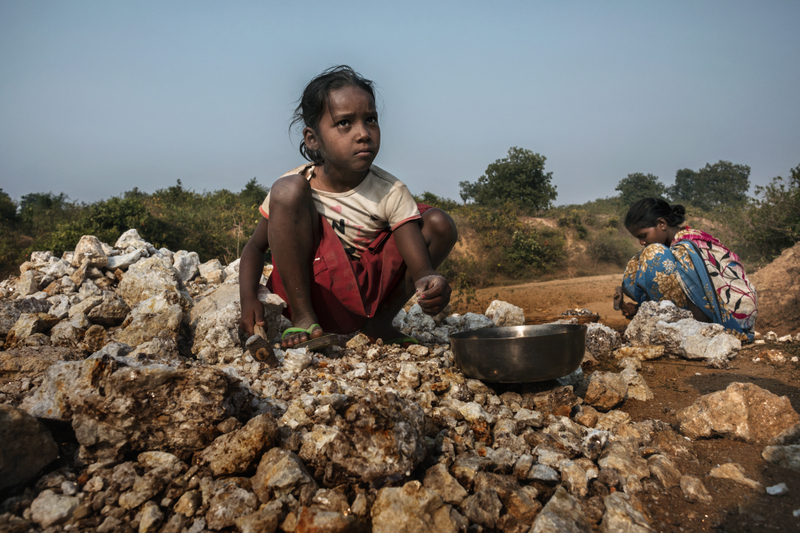 There are at least 20.000 Indian children who work in the mica mines in the Jharkhand and Bihar states, even though the law forbids children under 14 to work in mines. Grinding poverty (36.9% of the population in Jharkand and 33.7% in Bihar live below the poverty line) makes children especially vulnerable to child labour, as families rely on them to supplement the household income. Grinding poverty (36.9% of the population in Jharkand and 33.7% in Bihar live below the poverty line) makes children especially vulnerable to child labour, as families rely on them to supplement the household income. 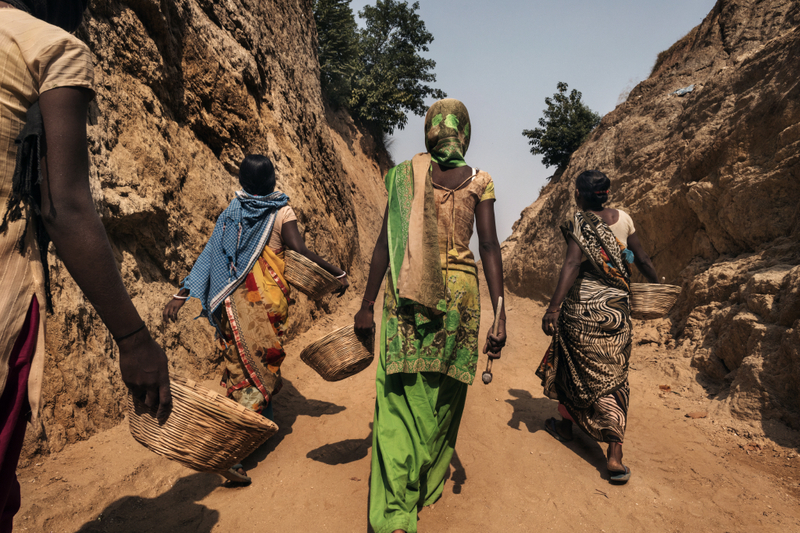 Koderma District, Jharkhand, India, 2018 Entire villages sustain themselves extracting mica from the earth in forests. 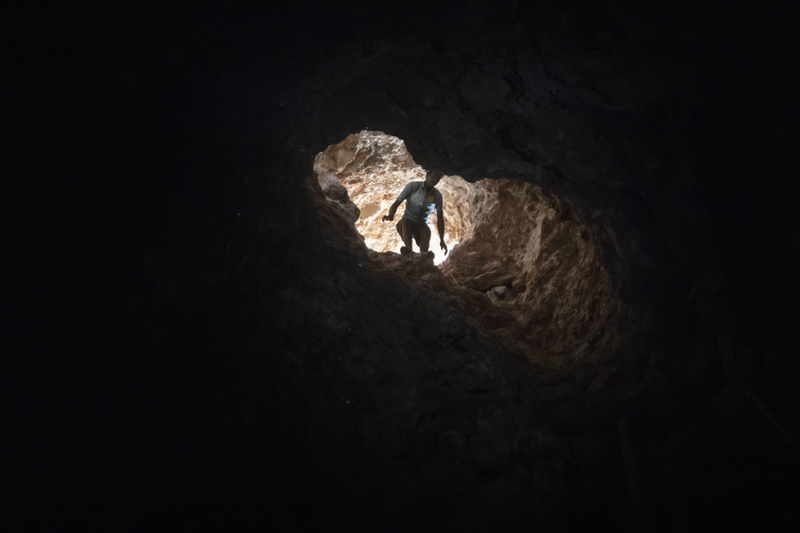 The Netherlands-based Centre for Research on Multinational Corporations (SOMO) estimates that about 80 percent of the region’s mica originates from these kinds of unofficial mines, although mine isn’t quite the right term, they are more like pits. Giridih District, Jharkhand, India, 2018. Underage girls sit in the mines with women and older men who are too fragile for hard work underground. They crumble the mica and sort out the pieces. 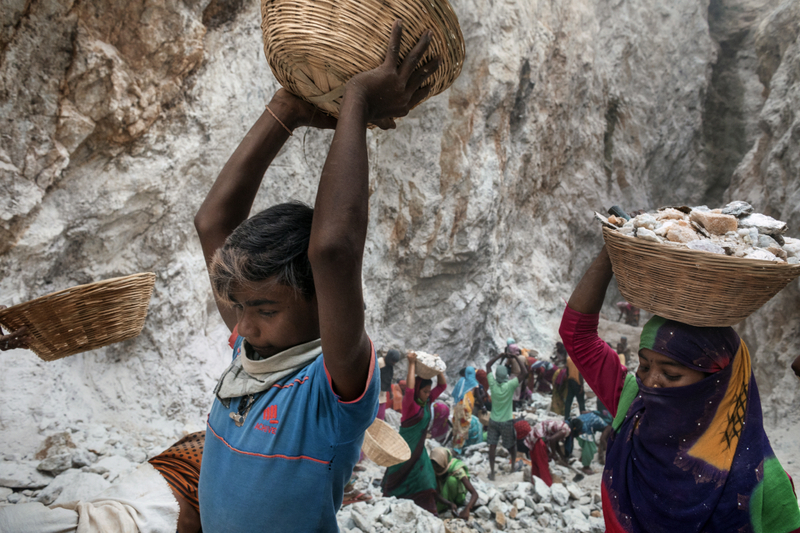 Many companies rely on assurances from their distributors to ensure their mica supply chains are free from child labour. However these guarantees are difficult to assess, since they are often not subject to external evaluation. Giridih District, Jharkhand, India, 2018. Child worker where he spends his days chopping the flakes of mica.The brilliance and pearl effect of lipsticks, eye shadows, nail polish, hair products, is due to the presence of mica, a friable mineral with a crystalline appearance that, thanks to its bright, thermal and chemical properties, is used in the cosmetics industry .At least 20,000 Indian children work in the mines of Mica in the states of Jharkhand and Bihar, although the law prohibits work in mines for children under 14 years. Sewadhaw village, Koderma District, Jharkhand, India, 2018. Binod Bhulla, brothers Gamad, Arbin and Gopal and daughter Arti, all Mica miners. Grinding poverty (36.9% of the population in Jharkand and 33.7% in Bihar live below the poverty line) makes children especially vulnerable to child labour, as families rely on them to contribute to the household income. Giridih District, Jharkhand, India, 2018. Rinki, 12, injured during the extraction of mica. She slipped from the top of a mine breaking an arm. 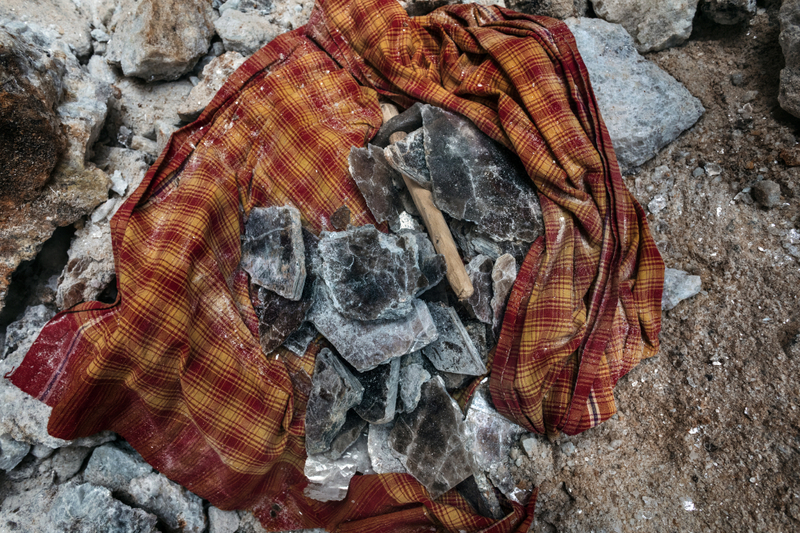 It is estimated that 20,000 minors, instead of going to school, spend their days chopping up the flakes of Mica, when they do not descend into the underground tunnels to detach the slabs and bring them to the surface. 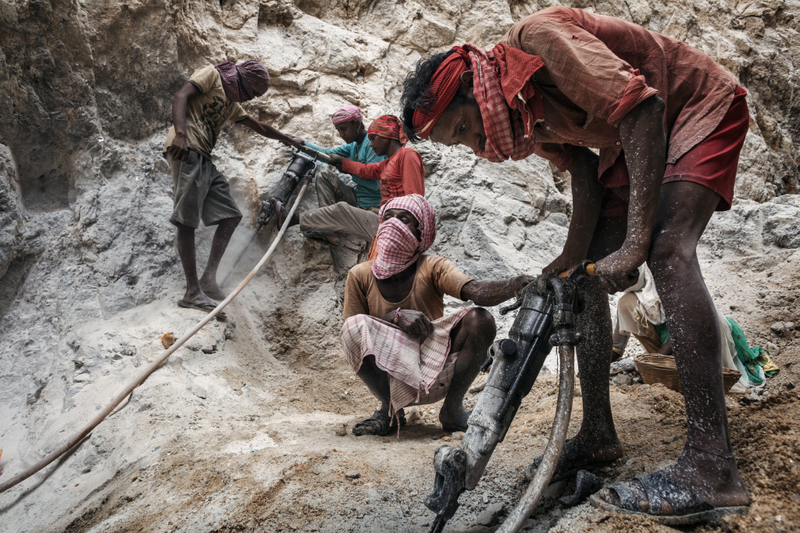 Koderma District, Jharkhand, India, 2018 The men dig tunnels into the ground using hammers and crowbars and do not support them with the help of beams. Koderma District, Jharkhand, India, 2018 Interior of a Mica mine.The deeper you dig, the bigger the mica fragments become. But with every meter and every strike of the hammer, the danger of being buried alive underground is more and more real. 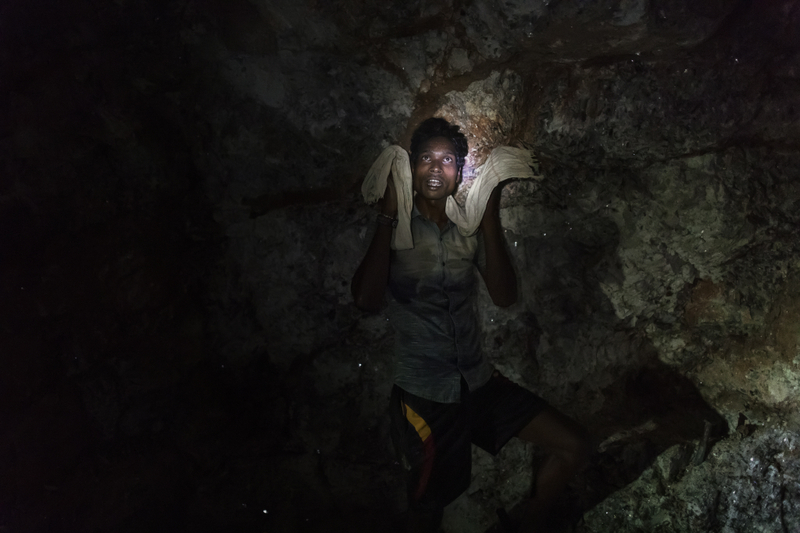 Koderma District, Jharkhand, India, 2018 A Mica miner, after a long day’s work inside a well about 30 meters deep. 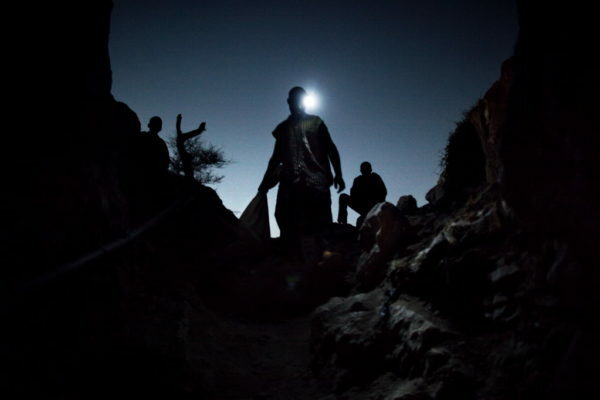 The workers at the illegal mines, worked underground with no safety equipment. Koderma District, Jharkhand, India, 2018. 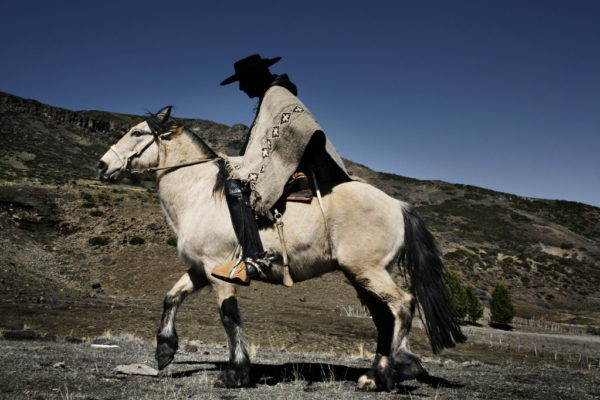 A woman farmer as she checks on her cows at pasture, close to a mica mine.